Invisible Content: Using CSS, as well as <noscript>, <noframes>, and comment tags to cram a page with keywords users don’t see (but that web crawlers will) is a trick that unscrupulous SEO firms use to improve ranking. However, companies caught doing this are fined or banned. Other invisible content includes keywords hidden on a page via use of very small text (or even text that’s the same color as the background). Today’s engine spiders identify such tricks and ignore these keywords.Duplicate pages are another type of invisible content; users don’t realize identical pages exist (increasing search engine ranking by eliminating competition). However, web crawlers are on to this trick and penalize accordingly. “This Page is About Everything You’ve Ever Dreamed of and More.” The purpose of a search engine is to help people find exactly what they’re looking for – which is why SEO elements, when used correctly, employ simple, straightforward, accurate, and unbiased terminology. Many black hat techniques, however, use language that is anything but. For example, while a proper meta description describes the content of a page concisely and honestly, some SEO firms will instead stuff a meta description with qualitative words such as “best,” “great,” etc. By the same token, properly used meta keywords describe a page’s main focus (for instance, “groceries” would make sense as a meta keyword for a grocery store’s page) – while stuffing keywords that describe every single item the store sells into the meta keywords (“toilet paper,” “ground beef,” “bananas,” etc.) is merely abusive.Some pages will even deliberately use search terms simply due to their popularity, regardless of whether they have anything to do with the website. Once potential clients reach this page – which fails to address the trending topic – they are first confused and then annoyed (and they leave). Redirecting: “Doorway” (or “gateway”) pages are fake pages stuffed with highly optimized content. Users are automatically redirected elsewhere. 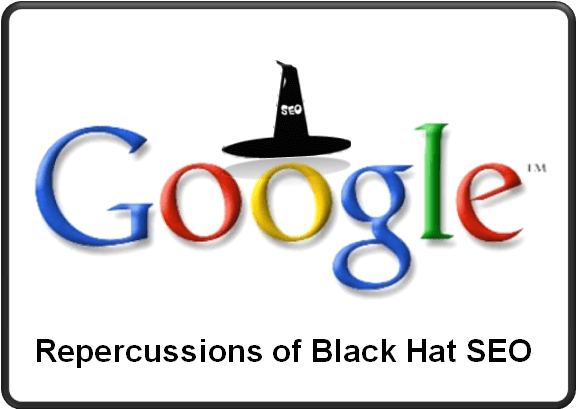 These get your site noticed the wrong way (and flagged).When choosing an SEO firm, find one that engages in best practices, avoiding black hat SEO at all costs and making your company’s long-term best interest its goal. The purpose of SEO is not to get your company noticed for tricking and annoying potential clients (or for engaging in unscrupulous practices); rather, the goal is to get noticed for what your company actually does – and does well. Link Farms: When a search engines detects a link-selling scheme (pages interlinking with each other to increase every page’s rank), they demote the rank of every page – or flag (or even ban) every site.